You've probably heard a lot about Avid Everywhere, our vision for moving our company and industry forward. There have been a number of changes to our product lines and offerings over the last 12 months, with the promise of more to come. My hope is that by the end of this post, you'll have the information you need to make the right choice for you and your business. For Media Composer users, the introduction of new licensing models and policy changes provides interesting opportunities, although it could all seem a bit confusing at times. You may have asked yourself (more than once), "What does this all mean to me? ", "When will this affect me? ", and "How do I know I'm making the right decision?" My hope is that by the end of this post, you'll have the information you need to make the right choice for you and your business. "What Does This All Mean To Me?" Let's start with the basics: All new copies of Media Composer | Software come with a year of support and upgrades, called Standard Avid Support. That means that not only do you get access to world-class customer support, you're entitled to receive every software upgrade that's released throughout the year. As the year anniversary approaches, you'll simply renew your annual Standard Avid Support to continue to get support and upgrades. If you don't renew and let your Avid Support expire, that's fine -your license will continue to run, but it will be frozen at the last version you upgraded to, and you won't be able to upgrade it further. We'll talk more about that later. We've also introduced Subscription licensing; now you can pay a small amount each month (or pre-pay for the full year) to effectively "rent" Media Composer | Software. Support and upgrades are also included, so subscribers can always stay current with the latest release. Each model presents different advantages according to one's needs, but both are great options for new users. Now you may be thinking, "Yes, those are great options for new users, but I already own Media Composer | Software. What choices do I have?" The first thing you need to know is that we're no longer selling individual software upgrades. Gone are the days when you made a one-time purchase to upgrade your license to the latest version. Buyers used to have to navigate the different upgrade options based on what they were upgrading from and what they were upgrading to (one version back, two versions back, Interplay support, etc.) and mistaken purchases were common. We've removed those pitfalls and have simplified the entire upgrade portfolio. If you purchased Media Composer | Software any time before April 1, 2014, then you have what we call a "Node Locked Perpetual License." This is the licensing model you're probably most familiar with: you purchased a single license that runs on one machine at a time, you own the license, and it will run forever - i.e. in perpetuity. You've got either a Dongle or a Software License, and you can continue to use either for the foreseeable future. So that's the short story. Now let's get into more detail. "I Already Own Media Composer | Software"
If sticking with your perpetual license works for you, simply purchase Avid Support. It's good for one year and includes 24x7 customer support as well as every software update that's released during that year. It doesn't matter what version of Media Composer | Software you're currently running - Support is always the same price. You've also only got two options: 1. Standard Avid Support; or 2. Standard Avid Support + Elite Support, which just includes advanced support options (Extended Hardware, Code Blues, etc.) Learn more about each option. Support options are available via your Avid Sales rep, your reseller, or the Avid Store. When software updates are released, they'll be automatically deposited into your My Avid account, and you'll also get a notification that it's available from Application Manager (a new companion app that comes with Media Composer | Software and manages your licensing, installations, and upgrades, among other things). When your Support plan runs out, you can either renew it, purchase a different type of Support, or do nothing at all. If you do nothing, your license will continue to run (since it's Perpetual), but you won't receive upgrades or Customer Support anymore. Having an Avid Support plan means you never have to worry about buying the right upgrade or guessing what your upgrade budget for the next year will be; you always have access to any and every upgrade for the same price each year. "What if I'm already on Support? What do I do then?" Simple: Nothing. You don't need to do anything at all. Your current active Support plan is still valid and we'll honor it until it runs out. When it does, you simply renew your Support as either Standard or Standard + Elite to continue to get the latest updates and customer support. That's it. "I've Got a Lot of Media Composer Licenses"
"Seems too easy. What if I have a lot of Media Composer licenses? What then?" The same basic rules apply: you need to buy Avid Support in order to receive software upgrades, and if you're already on Support, that contract is still good until it's time for renewal. For customers with a lot of copies of Media Composer | Software (say, 20 or more), there's an additional option: Floating Licensing. A Floating License is a special type of Perpetual License; you own it, it runs forever, and it has to be covered by Support in order to upgrade it. The difference is that it's a concurrent use-based, multi-seat license, not a Node Locked (or single seat) license. A Floating License is a "pool" of licenses activated on a centralized server - some server on your network that all of your Media Composer | Software clients can connect to. When Media Composer is launched on a client system, it talks to the Floating License server and uses an available license; when Media Composer is closed, the license goes back to the "pool" and becomes available for another client to use. If no licenses are available - if they're all in use - then Media Composer will not launch and you won't be able to run it until someone else quits his or her instance of Media Composer. You're never limited by the number of machines that can have Media Composer | Software installed, you're just limited by the number of machines that can run it at the same time. If you own 20 or more copies of Media Composer | Software, converting them to a Floating License model may be an excellent option. You can save time when doing upgrades (no need to license each individual client), you can save money by buying and maintaining fewer licenses (only buy the number of licenses that will be used at one time, not a license per physical client machine), and you can save headaches with easier license administration (since you license the server, there's only one System ID to track and manage.) Floating Licensing is just one more way we're trying to simplify our licensing models while empowering our users to get the most out of their creative tools. "I'm seeing a lot about Subscription licensing," you say. "How does that impact me?" If you own a copy of Media Composer | Software, you can choose to buy Support for it and continue to own it, or you can convert it to a Subscription License. Converting to a Subscription means you get the exact same benefits that a new user who decides to subscribe, but at a lower per-month cost for the first year. This option is good for users who want to pay for their software over time at a much lower up-front cost. "Yeah But - What's Up With This Deadline?" Now I'm guessing you're thinking: "That's all great, but what about this end-of-2014 deadline I've heard about? How can you force me to upgrade my software before the end of the year?" You're partly right. There is a deadline to get on a Support plan (or Subscription) by the end of 2014 - that's true. We're not, however, forcing you to upgrade your software. An Avid Standard Support plan is the lowest priced support and upgrade option for Media Composer | Software ever; previously, you would have spent the same amount or more for a single upgrade. Now you get an entire year of upgrades AND Customer Support. And you'll get your money's worth: by the end of October 2014, we'll have released three software updates, with a fourth planned for December, and we intend to continue releasing multiple updates throughout 2015 and beyond. There's no question that Standard Avid Support is a great value. It's because of that value that we want as many of our current Media Composer | Software customers as possible to take advantage of this program and have their licenses under Support by the end of 2014. This doesn't mean you have to upgrade your software (or your license); you can continue to run whatever version of software you're currently on. We'd like you to upgrade to the latest release, of course, so you can benefit from the new features and fixes we've implemented, but it's not a requirement. You just need to ensure your licenses are part of an Avid program - whether it's Support or Subscription - by the end of the year. Now if you choose not to purchase a Support or Subscription plan before the year is up, your perpetual license will continue to work indefinitely (perpetually). It will not, however, be upgradeable; it will be frozen at the last software version you upgraded to. If someday you decide you'd like to get the latest version of software, you'll need to buy a new Media Composer | Software license (perpetual, subscription or floating). I completely understand why you might see this as severe. I hope you'll also see it as Avid rewarding customers that have been using Media Composer | Software for years by offering them a Support and Upgrade program at an amazing value. Either way, you've got some important decisions to make that can have a real - and potentially positive - financial impact. Bottom line: You need to do what's right for you and your business to be successful. We think we have options that let you do that. You also need to make a decision and act on it before the end of 2014. If you don't, and you're not covered by a Support contract or on a Subscription, you won't be able to continue to upgrade your Media Composer | Software license. Bottom line: You need to do what's right for you and your business to be successful. We think we have options that let you do that. So evaluate your needs, talk to your Sales rep or reseller for more information, and make the choice that's best for you. You can also learn more and ask questions in our new licensing forum. "Ok, I think I've got this." Excellent. Now go forth, and tell your story. My name is Rob D'Amico (Product Manager, Avid Media Composer Family), and I will be writing a blog series throughout 2013. The goal is to bring more awareness to editors, third-party partners, resellers and other industry folks that have an interest in Avid professional editing solutions. My topics of discussions will range from product news, new features, important bug fixes, tips and tutorials, third-party programs and anything else that could be of interest to folks relating to Media Composer Family. I hope this is useful information to all, as I look forward to an exciting 2013 with a lot of topics to talk about. In this week’s post, I thought it would be interesting to give some tips and shortcuts for a part of the timeline that doesn't always get a lot of attention--Track Control Panel. Working with audio for most of my life, there are some real cool tips and shortcuts you can use to help with audio mixing, clean up and effects. Everything that follows has been available since Media Composer 5 release. Let’s just dive right in and take a look. 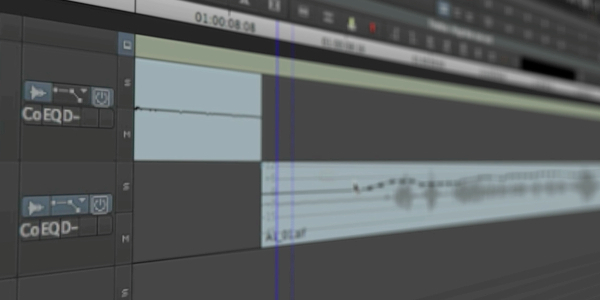 At the top left corner of the timeline next to the timecode indicator there is a small sideways triangle icon. Clicking this icon will cause a section between the track names and Solo/Mute buttons to expand with additional controls. The A1/V1 labels can be renamed to whatever you like. Right-click and choose "Rename". 1. Clicking on the top left "Audio Waveform" button will turn on the audio waveforms for the particular track. Tip: Holding down the Option (Mac) or Alt (Windows) key while clicking on this icon will turn all the tracks in the timeline "On" or "Off". 2. Clicking on the menu item with the audio keframes icon will display the different clip effect attributes (Clip Gain, Volume and Pan). Tip: Holding down the Option (Mac) or Alt (Windows) key while selecting an option in the menu will either turn "On" or "Off" the view for all the tracks in the timeline. 3. Clicking on the "Power" icon will either enable or disable the track. Tip: If a track is disabled, the audio and effects on that track will not be loaded into the player, so this could help performance on slower CPUs. 4. Five RTAS (Real-Time AudioSuite) inserts can be used to apply many different types of audio track effects (EQ, Compression, Limiting, Loudness, Reverb, etc.). There are a few different shortcuts to share here. Once an RTAS effect has been inserted on a track the following can be done. a. Click and while holding down the mouse, the RTAS effect can be dragged to another track, or in a different insert on the same track. This can be handy to quickly hear what the audio will sound like if for example you feed the EQ into the Compressor, or the Compressor into the EQ. b. Holding down the Option (Mac) or Alt (Windows) key while clicking and dragging an RTAS effect to another insert, will quickly make a copy of the plug-in and parameters. This is great for quickly using the same compressor on multiple dialog tracks. c. Holding down the Cmd (Mac) or Windows (Windows) key while clicking on an inserted RTAS plug-in will quicky put the effect in "Bypass" mode (insert icon will be highlighted). This is great for hearing the difference with and without the effect being applied. 5. Even though the Solo and Mute buttons are not technically part of the track control panel there is a quick tip to share here too. Tip: Holding down the Option (Mac) or Alt (Windows) while clicking on either icon will turn all the tracks in the timeline to that state. 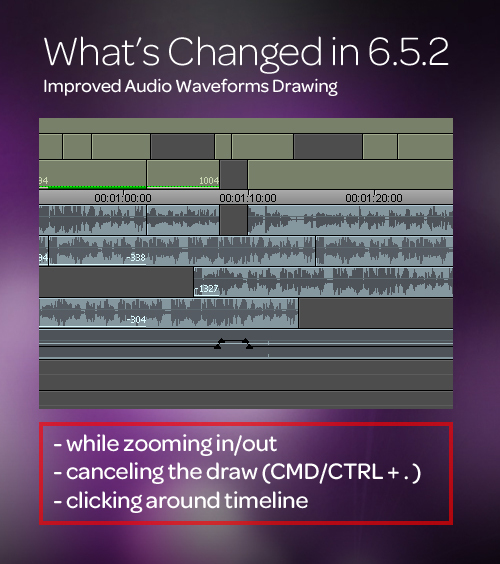 If you're running Media Composer 5.0 and later, you already have these audio refinements. Have a version earlier than 5.0 and want to try them out? 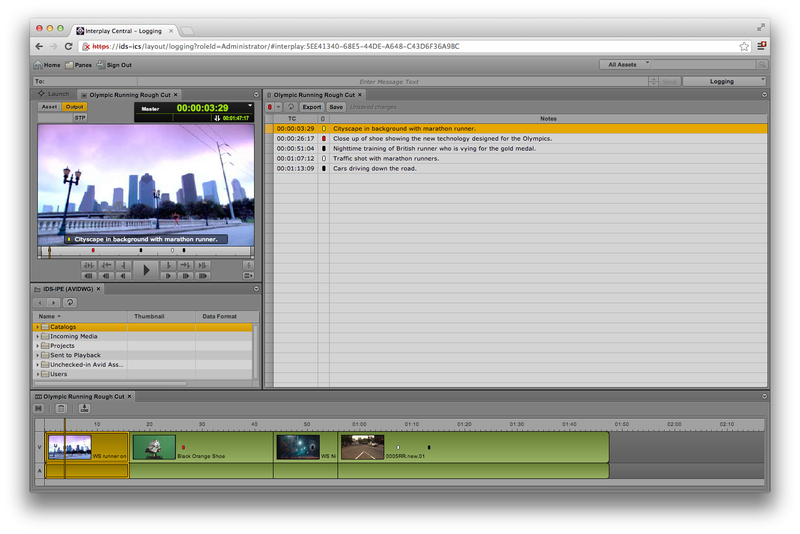 Download the free 30-day Media Composer 6.5 trial. If you have any questions, be sure to connect with the team in our Professional Video Editing Forums. I hope this information is helpful, as I look forward to keeping folks aware of improvements being made while we continue to work on our future releases. The following is the second in a series of three blog posts from Ian Krabacher, Senior Principal Product Designer on Interplay, that will demystify the Avid Interplay Product Family, with a specific focus on Interplay Production. You can follow Ian on Twitter at @avidiank. First and foremost, and perhaps contrary to what some may expect, Avid Interplay isn’t a single product … it is actually a family of products. This family is comprised of powerful asset management and productivity tools designed to give media enterprises an environment where creativity and collaboration can thrive. These tools also help them get the most out of their assets, from field footage to finished broadcast masters and everything in between. And while the phrase ‘media enterprise’ sounds a bit grand, it’s worth noting that we at Avid use it as simple shorthand to refer to all the different types of facilities we serve. The phrase also reinforces a recognition that not only do these facilities generate content, they also maintain and store it over a meaningful life cycle, repurpose it, reversion it, distribute it and often push to monetize it. So in Avid terms, a media enterprise can be a broadcast network, a production company, a post house, a sports team, a government bureau, a news organization, an ad agency or even a feisty indie filmmaking studio busting out an original web series. Of course, the diverse needs for a list of businesses like this require a broad set of solutions, and hence why Avid Interplay has grown into a full product family made up of two complimentary systems called Interplay Production and Interplay MAM. I’ll talk about the interactions and also the differences between these systems at some point, but as mentioned for the purposes of this blog series, I’ll be talking about Interplay Production exclusively. The biggest reason for this choice is that of the two systems, Interplay Production attracts the most interest from and fulfills many common needs in post environments. At its core, Interplay Production is simply asset management and productivity software running on powerful server hardware that is, in turn, optimized to run on Avid online and nearline shared storage. In short, it is the Avid workgroup amplified. An environment tuned for dependability and collaboration, where most if not all Avid products can converge and also meet up with 3rd party gear, if needed, from vendors such as Telestream, SGL, EVS, Front Porch Digital, Dixon Sports, and many more through some well published APIs. 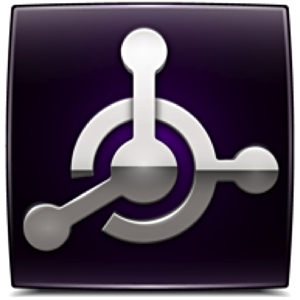 In addition to supporting all of Avid’s well-known creative applications, such as Media Composer, Symphony, NewsCutter and Pro Tools, Interplay Production offers native applications that allow team members outside the editorial or audio staff, such as producers, writers, loggers, etc., to work with material from a shared location and participate in the creative process. A primary example of a native application is Interplay Central. As a unified web-based interface, it allows team members to search for and playback clips, drop markers, create sequences, monitor and mix audio, send-to-playback, and much more from any computer running a supported browser from anywhere in the world (no drivers, no dongles, no installer downloads for the user … just log in and go!). Much like workspaces in Media Composer, the Interplay Central UI also offers standard layouts that match many common tasks but also allows users to build custom layouts to match the way they work. that let users match the task at-hand such as logging or putting a rough cut together. The Central UI is easy to learn, is flexible and has been designed to be a great fit for staff members who may find the full palette of controls in a dedicated editor like Media Composer a bit intimidating or, for a clear cut task such as logging, really don’t need all of the control. I think it’s a reasonable expectation that anyone with any general understanding of any non-linear edit system (Avid or non-Avid) could be up and running in Central within an hour. I’ll talk more about Central’s sensible design and functionality in the next blog entry. As for Common Playback options, these are options that generally speaking leverage the playback of media from an Interplay Production environment to enable new ways of working. Interplay Sphere is a key example. This option allows editors who are working from any location outside of the facility (ex. on set, in the field, from home, etc.) to play back media from an Interplay Production workgroup, using only Media Composer and a simple Wi-fi or 4G connection. You can also upload media to the workgroup, but I will discuss Interplay Sphere in more depth in the next blog entry. The big takeaway here with both types of options—Media Service and Common Playback—is that any media enterprise can build the environment that best serves its needs now and, if necessary, can later add other options either as a capital investment or as a rental (as many shops do with certain format HD tape decks that they only need on occasion). All in all, Interplay Production set-ups can scale from workgroups with as few as five workstations all the way up to 330 workstations. I think it’s fair to note that in the smaller environments, many customers have typically found value in Interplay Production set ups that are running on 10s (meaning 30, 40, 50, etc., concurrent workstations) where either traditional ‘shared projects and bins’ workflows can become too cumbersome to manage manually, if the media being accessed by the workgroup is needed over longer periods, (ex. sports team who need media to be accessible over the course of a nine-month season) or the media library is massive as a result of high shooting ratios (ex. reality TV multicam workflows). In the largest environments, our customers are running 100s if not 1000s of concurrent workstations by way of connecting in some cases close to 20 Interplay Production workgroups separated by large distances. It’s pretty amazing to see these operations crank away. But the scale of the vast majority of Interplay Production’s 1,300 worldwide sites is somewhere in between, having had the opportunity to build in the small or medium range at first and grow over time. One thing that is certain is each site is as unique as the workflows they take on, and in many cases, they’ve been able to use Interplay Production’s flexibility and customization to their advantage. Given how specialized our industry is and certainly how ambitious Avid customers tend to be, it would be unfair to claim or even hint that Interplay Production has been perfect every time out and installed at each site. Avid customer support has received a call or two, sure. Maybe even three (attempt at understated humor). But it is reasonable, I think, to look at the wildly diverse customer pool Interplay Production serves today, the quality and consistency of work they are delivering, and see that Interplay Production has succeeded in taking on some very difficult challenges. I simply look at the seven years since Interplay Production was introduced to the market as a ‘good starting point’ for us at Avid to achieve something more significant for media enterprises. For me and for our team, I think it’s just as important to consider what street conditions gave Interplay it genesis in 2006 and how the current media trends remind us of why systems like Interplay Production are a necessary evolutionary step for many facilities to have any shot of ever reaching the fabled ‘ideal creative environment’ in an era where we are all moving rapidly away from tape and toward file- and asset-based workflows. 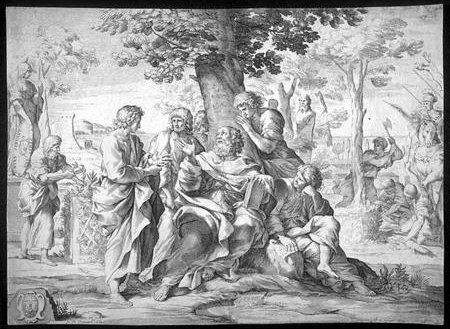 In Plato’s Republic, Socrates and a hit squad of likely over-caffeinated philosophizing, hipster chatter-boxes sit around contemplating the nature of justice and, among other topics, how to build the ideal city. One of the things I’ve always appreciated about the people who are called to the grand game show that is post-production is that we tend to do something similar. We too have been known to sit around and wax poetic about how to build the ideal edit system, everything from lofty definitions of ‘performance’ all the way down to the minutiae of timeline interaction models. And if not that, then how to get our work from one system to another seamlessly is discussed, or from us to the producer, to the network, to the studio or to the client … anything to help tie the entire creative process together. As for me (a guy who still edits even despite taking a design gig at Avid), I believe as professionals dedicated to a trade, it is right for us to constantly expect more of our tools as more is constantly expected of us. Our industry of media & entertainment has never been one fit for sissies, but the recent chapter whereby a spooked worldwide economy looms heavy over a rapid change in technology has been too much for some great facilities with solid creative talent. It’s been disappointing to see that some shops have disappeared and many an artist has sought a living in other lines of work. And related, it is especially tough to follow the news in the VFX community right now. With media consumption models so rapidly changing, becoming more individualized to the viewer, and with production companies, networks, and advertisers competing for audiences by cautiously rolling out new and sometimes unproven distribution models, it’s easy to see how this is a formula that more often than not results in tightened budgets for many post facilities. Complicating matters is an incessant stream of higher resolutions spilling into our timelines as we weigh the risks/benefits of file-based workflows against the continued abandonment of tape and its dependable workflows both at ingest and at delivery. Our industry can seem like an unending grind in this way. I suppose it’s no coincidence that back in 2006, Interplay Production emerged from a similar furnace of economic uncertainty and technological upheaval. The 9/11 terrorist attacks and tumult of multi-national war were followed, in many markets, by some of the largest decreases in advertising and new programming spending since the invention of the television. And just as many networks and facilities were able to dust themselves off from a prolonged dry period, they began the long struggle of adopting what was an unsettled field of High-Definition standards. In the end, the facilities that survived were the ones that found ways to stay lean and efficient, but could ramp up creative talent quickly when opportunities presented themselves. In addition, the artists who found work in this period began to find more than one skillset in order to stay marketable. It was during this era that many networks and news organizations were desperate for help, particularly in shaping an editorial environment that was capable of handling enormous, bandwidth-choking volumes of HD media, on the one hand, and tying together a heterogeneous sets of personas and tasks (i.e. different folks fulfilling very different roles) on the other. Multiply that complexity by hundreds of workstations at a single site, and multiple geographically distant sites for one organization, and you get a sense of the need that technology of that day wasn’t quite ready for. Evolution of the shared Avid environment. So Avid, which by the early 2000’s had revolutionized the way our industry collaborates by tying Media Composer to fiber-based Unity shared storage to form the workgroup, stepped up and took a crack at this fundamentally different challenge where shared storage simply wouldn’t be enough to meet the need. 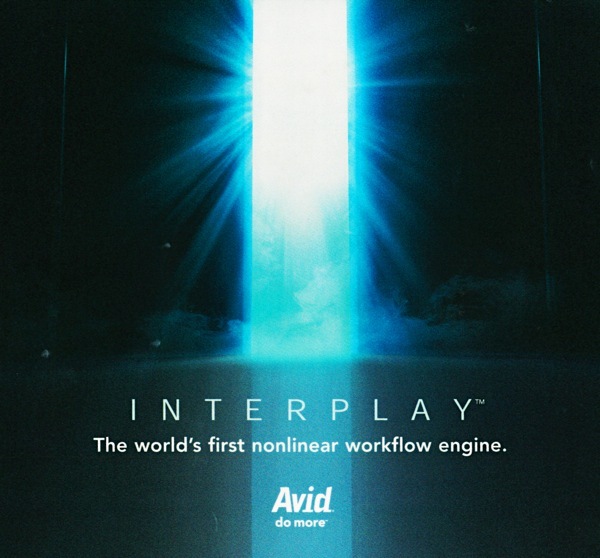 After acquiring companies to bring some necessary technologies into the fold and a period of aggressive development, Avid launched Interplay (a product set that is now called ‘Interplay Production’) at NAB 2006 to grant its storage a far deeper and more diversified intelligence beyond shared projects and bins. Looking at this list, I think two things stand out. First, for as much as things have changed, they have also stayed the same. Many of the challenges networks and news organizations faced back in 2006 are today becoming foremost concerns for many post facilities as newer high-res formats continue to emerge, as file counts continue to rack up, as teams look to work more often over longer distances and, ultimately, as facilities push to spend as little time as possible on administrative tasks and more time on revenue-generating creative. We can’t always put the tape or film negative on a physical shelf any more. Interplay Production, having been refined over the years, offers a compelling way forward in the face of these challenges, not only for large operations but for the medium and small ones as well (particularly in post). Second, I think our main man Socrates, pushing to understand the true nature of things, would declare the mere phrase ‘asset management’ as insufficient to describe the character of what Interplay Production seeks to accomplish. He would point out that while Interplay Production is indeed an ‘asset management’ system, it possesses particular characteristics that push it toward something larger, more idyllic in scope. Let me explain. Where Interplay Production starts to diverge from simple ‘asset management’ is its inherent acknowledgement of personas. By ‘personas’ I’m referring to all the different roles we find in any post-production environment. If you are like me and an unrepentant media addict, out of respect you usually read through the end credits of TV shows and films. Ever notice how the editorial staff is but one team in an otherwise long list of credits? One of the toughest and yet most rewarding aspects of any form of filmmaking is that it very often requires multiple people and their tools to complete a project. Since its introduction to the market, Interplay Production has sensibly offered UIs different from Media Composer and Pro Tools that are tailored to other members of the post staff, such as the aforementioned Interplay Central UI. Many have recognized the flexible and easy to use Interplay Central UI as a good fit for team members outside the editorial staff. And having those staff members connected to a shared environment with tools that allow them to contribute is huge. Another aspect that pushes Interplay Production to be more than just ‘asset management’ and something a little more ‘ideal’ for many post workflows is a larger definition of connectivity. Interplay Production systems, offering options such as Delivery, have long supported workgroups separated by large distances (such as between NY and LA). And so for many years now, while Interplay Production has quietly been gaining market momentum, Avid has been successfully building expertise around remote workflows. In addition to Interplay Central released in 2011, the most recent expression of that expertise is our release of Interplay Sphere last year. The implications of post houses being able to work with any talent in the world in any time zone or establish a more immediate connection between field production and post services are enormous. It is a safe bet that these kinds of developments will likely transform our industry by giving media enterprises powerful controls over how they make the best content possible and give talented post folks a pathway to creatively fulfilling work, regardless of where they are located. And maybe … just maybe …. these developments will give scrutinizing guys like Socrates and post pros alike, a reason to believe that the ‘ideal creative environment’ might just be possible after all. In part three of this blog series, I’ll discuss tools tailored for post personas, web and mobile technologies and the concept of extended connectivity. We’ll gear down on Interplay Central and Sphere workflows and why both have the potential to help anyone pulling a paycheck in post-production, including independent editors and producers. With only a few days to go until I give my presentation about Avid's Stereoscopic Editorial Architecture - Light Fields, Intelligent Computing and Beyond at the NVIDIA GPU Technology Conference (GTC) 2013 on March 19, I wanted to spend more time building upon my previous blog post How Intelligent Computing Powers Our Editorial Architecture and discuss stereoscopic editorial architecture. As a refresher, I want to briefly note what was covered in my first blog post. Avid’s stereoscopic editorial architecture is based off a unique heterogeneous compute architecture that we built to scale up to the performance requirement that high data rate formats such as Stereoscopic 3D pose to maintain a seamless editing experience. We call this the Avid Intelligent Compute Architecture in the mainstream environment and also fondly refer to it as ACPL (Avid Component Processing Library), since that was the original project name. In this blog, I’ll cover the other aspect of the talk, which is the data model that we came up with for working with the Stereo 3D format. I will provide a brief overview of how we used familiar concepts from the existing Avid multi-cam and multi-resolution editing architecture, but then inspired ourselves from an evolving area of research and development called light-fields to design our current stereoscopic architecture. The trend toward capture of increased granularity of visual information is undeniable. Acquisition of high frame rates, high spatial resolutions, and high bit-depth media is on the rise. The increase in granularity in theory is, however, independent from increased “range”. As an illustration of range versus resolution, a 4K captured image could represent the exact same framing of a scene as an HD camera, but with more pixels. Alternatively, it could represent a field of view that is twice as large as an HD view. In the first case (illustration above), the spatial range between the 4K and HD images are exactly the same, but the pixel size is smaller in the 4K image compared to the HD image. In the second case, the pixel size is exactly the same, but the image ranges are different. Apart from a single image capturing a larger field of view, the other method is to put multiple views together to create a spatial field. Similarly, either with a single very high sensitive sensor or with multiple cameras with different exposures, multiple dynamic ranges are now being captured. Finally, in the temporal domain, capturing a larger range is easy … leaving the video camera running for a longer length of time! As an editor and a storyteller, wouldn’t it be great if you had access to more views of the scene that were captured? You’d have more elements to work with, even if you were not there when it was initially shot. You could zoom-in, pan, re-project, slow-down, speed-up, increase contrast in low lights, expose highlights without blooming, etc., all without losing precision. To not lose precision means the data you’ve captured has a very high granularity, so you don’t face aliasing when making your new framing decision within the captured scene. If we are to manage all of this data for you, we need a data model that can organize multiple captured views of the scene. We need tools to ensure that the various views can be expressed as “sync” relationships with each—temporally, spatially and in color. We need a player that knows how to output one or more views from the same scene. For the various sampling of the views, we also need to take resolution into account so we can reconstruct the right quality of the view for you. In doing all of this, we need to make sure that common workflows and functions such as proxy editing, transcode, consolidate, delete unused, etc., map to these data sets. Aha, this is where our multi-cam and sync-clip paradigms come in. The tools that go with these grouped clips provide various methods of sync’ing multiple cameras into a common time reference. What if those tools were extended for aligning spatial views with respect to each other? How about tools to align the colors of the view samples? The same multi-cam architecture also allows us to choose different output views over time from the various camera angles. What if the same architecture allowed us to output various spatial and color views, as well? It is using this inspiration that we developed the data model and the run-time to create the new Stereo Clips assets, as well as the editing model. For those of you who are already using this feature, you’re familiar with the methods of temporally sync’ing the left, right or other views that get added to the stereo clip. If you expand the source side timeline for the stereo clip edited into a sequence, you will also find spatial and color alignment tools there. To output new views, the effects sub-system, project setup and the viewing sub-system can request independent views from the same S3D grouped clip—currently limited to the different variation of Stereo 3D output views only. The S3D clips also keep account of different resolutions available for the various output views. The same S3D clip tracks full-frame version of the left and right views, go together with any frame compatible proxy versions. While the usability and feature-set has been tuned to the particular needs of the Stereoscopic workflows, hopefully you see where we are coming from, and where we can go as the industry evolves. Ready to learn more? Join me at the GPU Technology Conference (GTC) 2013 where you can hear more about stereoscopic architecture during my presentation about Avid's Stereoscopic Editorial Architecture - Light Fields, Intelligent Computing and Beyond on March 19. I’ll also be available after the presentation to talk with you about this topic and to answer any questions you have. It’s not every day that you have the chance to test new software and see if it’s the right fit for you, but we’re offering you that chance now with a free 30-day trial of Avid Symphony 6.5.2. For all existing Media Composer and NewsCutter customers or editors thinking about making the switch or adding Symphony to your facility, this free fully-functioning trial provides a perfect opportunity to explore the new features. Symphony’s functionality is mainly known for its advanced secondary, and “source side” color correction tool so I’d like to cover these features in more detail before you open the software for the first time. Symphony’s advanced color correction features bring more tools to your fingertips, literally. Symphony’s advanced and secondary color correction are demonstrated in this tutorial, an overview of the tools at work and how they save time and money. Now on to Symphony’s “source side” color correction tool; a feature I know you’ll appreciate the very first time you use it. The capabilities of this “source side” tool allow color grading to be done quickly and easily on all clips originating from the same camera/tape. What does this mean for you? Now you don’t have to color correct (ex. white balance) each individual cut in your sequence referencing the same camera/tape. It also means that if you use multiple instances from a single master clip (sub-clips) in a sequence, then all segments from that master clip will inherit the color correction, so the grading doesn't need to be applied over and over again. 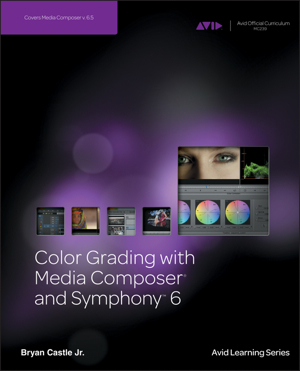 To delve even deeper into color grading, check out Color Grading with Media Composer and Symphony 6, authored by our own Bryan Castle. You can get a sneak peek inside the book, including a downloadable free chapter, in Bryan's recent blog post. In addition to the color correction capabilities there is also, the Symphony Universal Mastering when paired with Avid Nitris DX. This feature is for customers who need to deliver a "Broadcast Master" tape in multiple standard definition and high definition formats (23.976, 24, 25, or 29.97fps) from a 1080p 23.976, 24, or 25 project. This capability is accessible and easily achieved through the Symphony Digital Cut Tool using the correct uniform cadence throughout the entire sequence. So, how to make the most of Symphony's advanced features? Tutorials, tutorials, tutorials. Seven of them in fact. After you download your free trial, head to our special training tutorials page, Getting Started with Avid Symphony 6. We know time is of the essence, so each video is easy to digest, while providing the info you need for everyday editing, such as basic editing, trimming, using the Smart Tool, adding dissolves, loading AMA media and more. You can try all this out for yourself with the free 30-day Avid Symphony trial. Questions? Connect with the team in our Professional Video Editing Forums and we’ll answer any questions you have to help you understand the ins-and-outs of Symphony. See you there! The following is the first in a series of three blog posts from Ian Krabacher, Senior Principal Product Designer on Interplay, that will demystify the Avid Interplay Product Family, with a specific focus on Interplay Production. You can follow Ian on Twitter at @avidiank. My name is Ian Krabacher and I work as a Senior Principal Product Designer on Interplay, Avid’s asset management product family. I often find that for many folks who’ve banged away on Media Composer, Pro Tools and even Avid shared storage for many years, Interplay is shrouded in utter mystery. “Avid makes Inter-what? !” While this isn’t a total surprise for some reasons I’ll mention in later blog posts, as an editor of more than 15 years and as someone who’s had a hand in building a few successful post environments, I do think we at Avid have done a disservice to the post community by not making it more clear how Interplay can help in an era where tape is rapidly disappearing and where many shops struggle to manage massive sets of in-coming and out-going files. A number of advantages exist within the Interplay line-up that can transform many post workflows by exchanging tedium in favor of creativity and profitability. For those of you who may have more familiarity with Interplay or were alongside me as a customer at NAB 2006 when Avid introduced Interplay, I know what you are saying: “It does some good things, but it’s too complicated, too expensive, too big and it doesn’t work the way we work.” Understandably, many post professionals never made it past those first impressions and have never looked back—thinking Interplay Production was expressly built for or only useful in news environments. 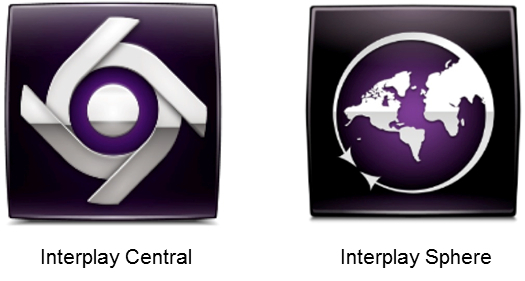 Avid introduced Interplay, its asset management product family, at NAB 2006. The truth is that since its inception (and while much of our industry had been justifiably preoccupied with how well Media Composer and Pro Tools would fair feature-for-feature against competitors), Avid has quietly made huge strides with Interplay, succeeding in environments that range both in size and in genre: from news to sports, from drama to unscripted TV and more. It is now deployed in over 1,300 sites worldwide that run the hardest kicked, most aggressive workflows in our industry and furnish a good chunk of the highest rated content watched on a daily basis. Is Interplay perfect? No. Will it do your taxes and take your kids to school? No, not likely. Like any toolset, it’s a solid fit in many workflows and so-so in others, but many of Interplay’s initial flaws have long been addressed and overall it’s met the challenges it was designed to solve. That said, it’s high time that the Interplay Product Family took on even more. In what is emerging as a second era for Interplay, seven years after it came to market, our team has listened to the community and has intently studied where Interplay and generally Avid workflows break apart. To that end, we’ve launched a series of new development efforts that we believe will make Interplay more compelling to a much broader sample of modern post workflows, whether they are large, medium or small, and whether they are under-one-roof or dispersed over large distances. Because of these new efforts, my history in post and namely our team’s determination to push the product family to serve more post workflows, I wanted to write a blog series about the work we are doing to benefit many hard hit post shops and artists. Interplay Production is now deployed in over 1,300 sites worldwide that range both in size and serve different genres. Over the course of this blog series, I’ll try to pull the Interplay Product Family from relative obscurity and clear up the mysteries commonly associated with it. I will focus specifically on Interplay Production, the family’s first and flagship offering, optimized for deadline-driven environments where teams are hammering out new content. 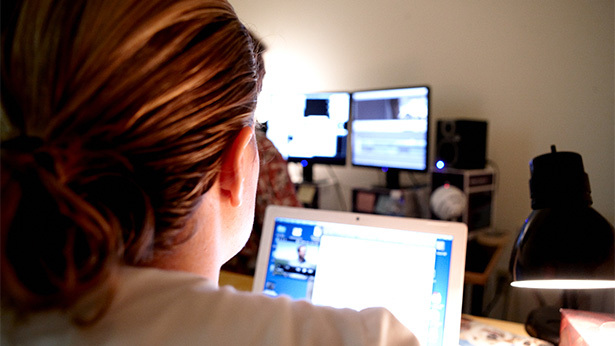 It includes workhorse options such as Interplay Transcode, Delivery, Archive, Restore and more that relegate non-creative, administrative tasks to the background and allow editors and producers to concentrate on story. Interplay Production also features newer, breakthrough options such as Interplay Central’s unified browser-based interface and Interplay Sphere’s distributed editing workflow. Both Interplay Central and Sphere have radically redefined workgroup connectivity by harnessing both web and mobile technologies. I also look to share some details on the work currently being done to push Interplay Production to be even better. To give you an overview, we are working on scaling, making Interplay a better performer in smaller and more nimble environments on the one hand as well as breaking past our own standards for the world’s largest environments on the other. We are continuing to remove complexity in Interplay: mirroring and enhancing the way teams want to work; addressing the issue of expense by offering base configurations that make more street sense; and working with rental partners and 3rd party developers to extend Interplay Production’s accessibility. In part two of this series, I will explain what Interplay is and does—chase that with some why, how—and ultimately try to relate why nearly all of this is relevant to anyone who is working in post and dared to ponder the ideal creative environment. In part three, I’ll discuss tools tailored for post personas, web and mobile technologies and the concept of extended connectivity. We’ll gear down on Interplay Central and Sphere workflows and why both have the potential to help anyone pulling a paycheck in post-production, including independent editors and producers. Beyond that, I will overview Interplay Production’s new features, and address top myths or frequently asked questions. One thing I can promise you is that I will give it to you straight. If you’re like me and have spent many years pushing to get the most out of Avid gear (as well as that of the competition), you’ve likely developed a sense of where content creation tools excel and where they don’t measure up. I’ll give you the rundown of where our team thinks Interplay is succeeding, where we think it simply isn’t good enough to meet current post needs, and what we are doing about it with new designs and development. With any luck, when I blather on, I hope it will inform you as well as entertain. If I miss something or am not clear, I welcome the fact and trust you guys will call me out. Strap in, enjoy and thanks for reading. * For those of you keeping score, Interplay Production was formerly referred to as just Interplay before Avid acquired the Germany-based company Blue Order and introduced a second, highly configurable enterprise-class asset management offering called Interplay Media Asset Management (MAM). At that time, the product Interplay became Interplay Production or Interplay Production Asset Management (PAM) to distinguish it from Interplay MAM. This change-up has been known to confuse a few folks, not the least of whom are post professionals who haven’t seen the Interplay product family in a while or generally associate the phrase production with field production. I’ll explain the differences and uses in a future post. Hi! Just to introduce myself, I am the Chief Architect for Video products at Avid. In this role, I provide architecture and technology oversight to the editing, video server and broadcast graphics products at Avid. In this blog, I'd like to provide a preview of a topic I will be presenting on at the NVIDIA GPU Technology Conference (GTC) 2013 at the San Jose Convention Center in California on March 19th. The topic of my presentation is Avid's Stereoscopic Editorial Architecture - Light Fields, Intelligent Computing and Beyond. The formats required for stereoscopic production and post production are a good indication of how the data rates are increasing in video and film productions, and why scalable and adaptable compute architectures are needed. Beyond the trend of increased resolution, frame rate and color bit-depth, the other trend in data rates that stereoscopic workflows represent is the number of views that need to be processed when editing a scene. Multiple possibilities for more creative story telling open up when we go beyond mono and stereo image capture. To build toward these possibilities, we, the Avid design and engineering team, inspired ourselves from an area of research called Light Fields, as well as a storied past in Multi-cam editing to develop the stereoscopic editing and data management architecture in Avid Media Composer 6.0. These topics will be the subject of another blog to follow. In this blog, I will give you a brief introduction to another aspect of the GTC talk—a unique heterogeneous compute architecture that we built to scale up to the performance requirement that high data rate formats such as Stereoscopic 3D pose to maintain a seamless editing experience. We call this the Avid Intelligent Compute Architecture. Some of you may have also heard this referred to by the engineering name of the original project, ACPL (Avid Component Processing Library). Boy, we love our acronyms at Avid! 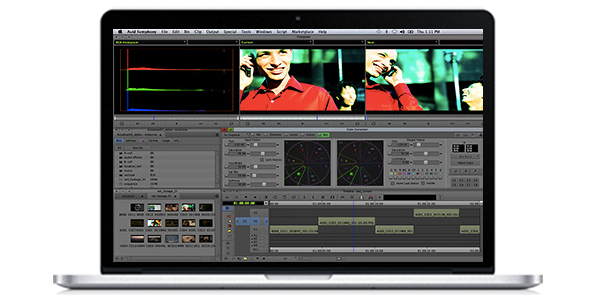 This compute architecture was initially developed when Avid Media Composer v3.0 and DS v10 came out in 2008 and has since been leveraged to rapidly add new processing formats and video processing functionality. The architecture served to replace the older FPGA-only Nitris classic acceleration with a player that could load balance processing across FPGA, Multi-threaded CPUs and GPU based processing. Rather than targeting just the GPU, just the CPU, or just the FPGA based cards, the philosophy changed to use them all in a holistic fashion. Rather than using a single PCIe card or a break-out box with FPGA compute acceleration, the whole system is turned into an accelerator. This required us to build a player as well as a scalable hardware abstraction framework that allowed new compute hardware and corresponding processors running on them to be plugged into existing applications without having to change the application code to accommodate them. The Intelligent media player in the application acts as an orchestra conductor, keeping as many of the resources playing to provide the performance required. Keeping a holistic view of the whole system in mind, particular attention is paid to the cost of transferring heavy video data across the system bus when deciding which compute hardware should be used for a particular process. More details on this architecture, including the plug and play aspect, and benchmarks will be presented at the GTC conference. However, I will leave you with an example of how this architecture is applied to get playback performance in a high-data rate and computationally complex stereoscopic editing scenario. In this scenario, the goal is to accelerate the 16 bit high quality rendering to DNxHD 220x 10 bit full frame stereo of a sequence that contains two edited tracks of full-frame 1080i 50 AVC-I 100, 10 bit stereoscopic media. It requires color balancing of both eyes and applying positional and rotational alignment that is followed by simultaneous depth and dissolve transitions, in order to combine the two stereoscopic tracks. Well, that's a mouthful! The Avid Intelligent Architecture will evaluate the platform configuration, OS, hardware, and GPU capabilities in the system. Based on the availability of processors for the various compute hardware, it will execute them in an optimal pipelined and parallel processing manner. It will dynamically distribute the processing to the device best suited to the specific task for different segments of the timeline. Let us consider a heterogeneous compute platform comprised of multi-core CPUs, an Avid-qualified NVIDIA GPU (graphics processing unit, or graphics card), and codec accelerating FPGA on the Avid Nitris DX card. In this case, the most optimal processing picked by the player will place the AVC-I decode on the multi-core CPUs. Since the AVC-I 100 decodes are computationally expensive, the multi-threaded decoder will likely saturate most of the CPU cores. Some more of the CPU capacity will be used up by placing some of the stereo effects. With the CPU cores now kept busy, the player can choose the GPU version over the CPU versions of some other pipelined effects processors. It will invoke efficient data transfers between the CPU RAM and the GPU memory for the 16 bit data to perform the processing on the GPU using GLSL shaders in full floating point accuracy. With both the CPU and GPU now busy with the heavy decoding and effects working on a total of four HD streams, the player will now evaluate between the CPU and FPGA based DNX220 encoders (no GPU version of the DNxHD encoder is available). With the CPU already burdened, it will pick the FPGA based hardware version. Hopefully you see the analogy of the player to a conductor—it'll have the CPUs, GPUs and FPGA hardware playing harmoniously in no time! That's it for now. Stay tuned for the next blog entry on the light-field inspired editing and data management data model for Stereo 3D. We'd love to see you at the GPU Technology Conference if you'd like to discuss this topic a bit more. The following is the fifth in a series of five blog posts from Rob D’Amico, Senior Product Manager for professional film and video editing solutions, which will cover key changes in Media Composer 6.5.2. You can follow Rob on Twitter at @_RobDAmico_. One area of interoperability we’re excited to release in this version is Interplay Sphere on Mac. Interplay Sphere playback support on Mac now enables editors using a Mac CPU to take their projects home or on the road with them. 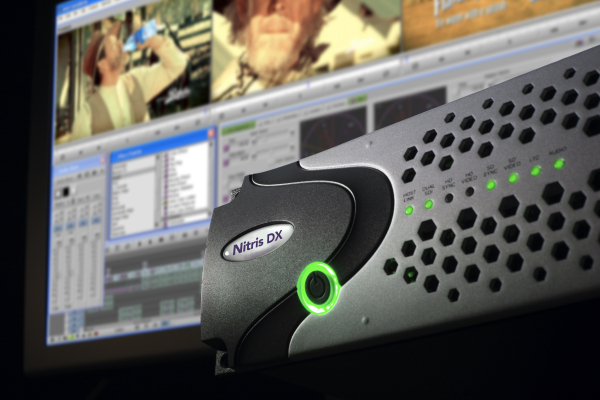 With Interplay Sphere editors have the ability to access to their media and assets located on their Interplay Production with just an internet connection with at least a 3G connection. The following is the fourth in a series of five blog posts from Rob D’Amico, Senior Product Manager for professional film and video editing solutions, which will cover key changes in Media Composer 6.5.2. You can follow Rob on Twitter at @_RobDAmico_. One area of performance we focused on resolving, and we’re excited to release in this version is audio waveforms. Audio waveforms performance improvements have been done to allow the timeline to be more responsive when the waveforms are drawing. This is in regards to zooming in/out, canceling the draw (CMD/CTRL + . ), and clicking around timeline while the waveforms are drawing. Creating a sci-fi, adventure film with more than 1,000 visual effects, using a reliable, full-featured editing workflow.